Este dulce Spätlese altamente noble no se selecciona con uvas con Botrytis. El alto grado de azúcar y la calidad se obtienen de lo que aporta el terreno y la climatología especial. Las uvas de este lugar tienden a madurar sin la ayuda de la botrytis, parecen concentrarse perfectamente por si mismas. Como resultado, tenemos un vino fino y potente. Concentrado pero puro, fresco y mineral. Intenso y exuberante. Un Spätlese muy claro, intenso, altamente mineral y concentrado, con acidez brillantemente integrada. Paulinsberg es la colección Spätlese de Stefan Steinmetz más compleja y persistente. Un vino para beber ahora con un gran potencial de guarda de más de 30 años. 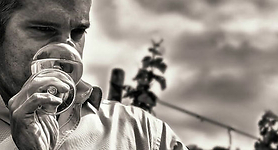 Picked very late, on November 10th, at 98° Oechsle but without any botrytis, the 2015 Kestener Paulinsberg Riesling Spätlese Gold Capsule is well concentrated but pure, fresh and mineral on the nose. 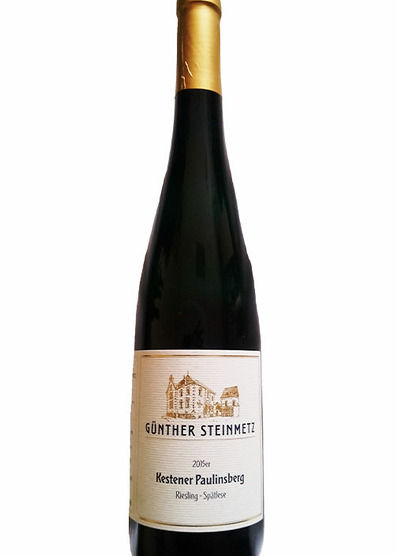 Intense and lush in the mouth, this is a very clear, intense, highly mineral and concentrated Spätlese with brilliantly integrated acidity. 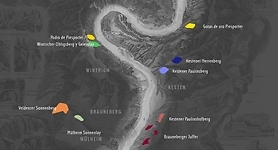 The Paulinsberg is the most complex and persistent Spätlese of Stefan Steinmetz's 2015 collection, and its aging potential should be extraordinary. Due to the weathered silver-gray slate soils, the 80 grams of residual sugar are almost completely compensated. The total acidity is at eight grams. - Stephan Reinhardt. A very nice, peachy wine that's rather sleek for the vintage in spite of the good ripeness. Drink any time from now through 2025.